Many voters queried about the Tokyo Metropolitan Assembly election Sunday said they cast ballots for Tomin First no Kai (Tokyoites First), the upstart party led by Tokyo Gov. Yuriko Koike, because they did not want the scandal-plagued Liberal Democratic Party to take control of the legislature. However, they also voiced concerns about Tomin First’s vague policies. 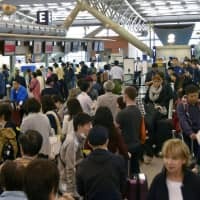 At a polling station in the western Tokyo suburb of Kodaira, a 62-year-old woman said she voted for Tomin First because she was irked by all the favoritism scandals involving Prime Minister Shinzo Abe’s government and LDP, including Kake Gakuen, the Okayama-based school operator run by Abe’s close friend Kotaro Kake. The woman said she has high hopes for Tomin First and praised the governor’s efforts to bring transparency to the assembly, especially regarding the botched relocation plan for the Tsukiji fish market. 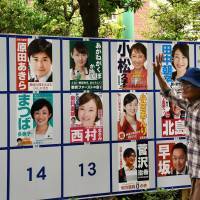 A 40-year-old resident of the city of Kodaira who only identified himself as Kono said he voted for Tomin First because he was disappointed by the conservative LDP. 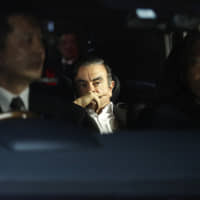 However, he was critical of Koike for her handling of the Tsukiji issues and said she should have made the call to move it to Toyosu much earlier. 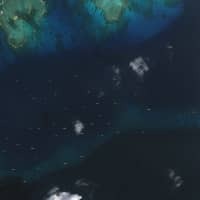 “The delay only brought more confusion,” Kono said. 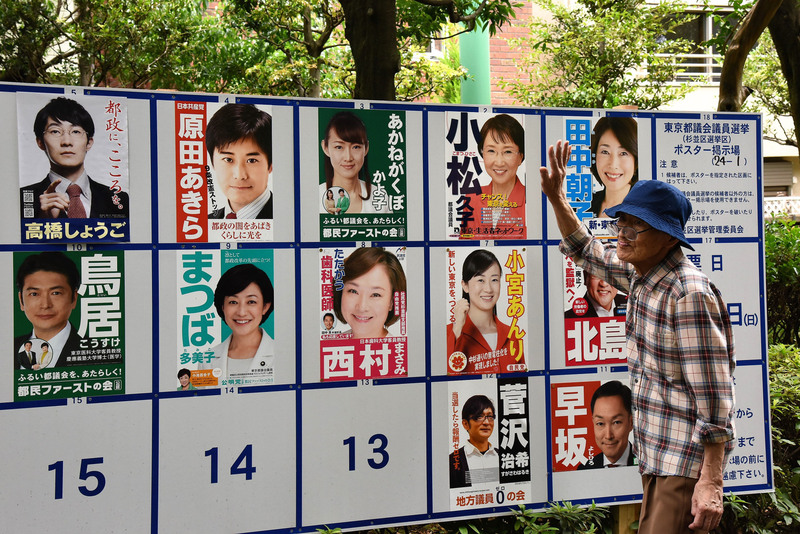 Rintaro Seki, 36, said he voted for a Democratic Party candidate because the politician appeared to be a slightly better option than the other parties’ candidates. “It’s not like I support the party. There was no choice other than that,” Seki said. In the city of Mitaka, a 32-year-old woman who only gave her last name, Yamamoto, said she voted for the Democratic Party because Tomin First “failed to provide details” about its policies. “I couldn’t understand what the party was trying to do,” said Yamamoto. “I prefer policies that benefit the young, such as strengthening education or promoting social welfare. Younger generations tend to be ignored,” she said. 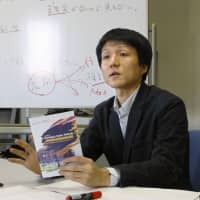 Kazutaka Ishikawa, a 37-year-old office worker who voted LDP, said: “The majority of the public might go for Tomin First, but what they’re trying to do is very unclear. “Considering its past achievements, the LDP would be the best party to vote for,” he said, pointing out that Koike and her party have not yet achieved enough for him to properly evaluate its policies. At a polling station in Suginami Ward, Fujiko Hisamoto, 75, said that, despite some doubts, she voted Tomin First. She said she has concerns about the big differences in its candidates’ political careers and philosophies, including the rookies, but found it preferable to the status quo. “It is better than the current LDP,” she said. Hisamoto said she is not very interested in the Tsukiji relocation debacle because the issue only involves people and industries who stand to make money through the project. A 71-year-old man who declined to be identified said he cast his vote for an LDP candidate just as he did in the gubernatorial election four years ago. “I had second thoughts about backing the LDP this time, but I found too many inconsistencies in the policies pitched by Koike’s party,” he said. But the senior also said he had to question the way Abe has been handling the various scandals and favoritism allegations. He said he does not understand why the prime minister defended his defense chief, Tomomi Inada, for violating her obligation to stay neutral when she stumped for an LDP candidate in Itabashi Ward and implied the Self-Defense Forces were backing him. Suginami resident Satoko Waki, 41, who backed the LDP in 2013, refused to divulge who she voted for on Sunday but dropped some hints. She said she now has doubts about whether the people around Abe, both in the government and the LDP, really support him. She said Abe “appears rather isolated” in dealing with the Kake Gakuen, Moritomo Gakuen and other scandals.